440 pages | 33 B/W Illus. Women perform nearly two-thirds of total work (including household duties), comprise one-third of the formal labor force, but receive only one-tenth of the world income and own one-hundredth of the world’s property. 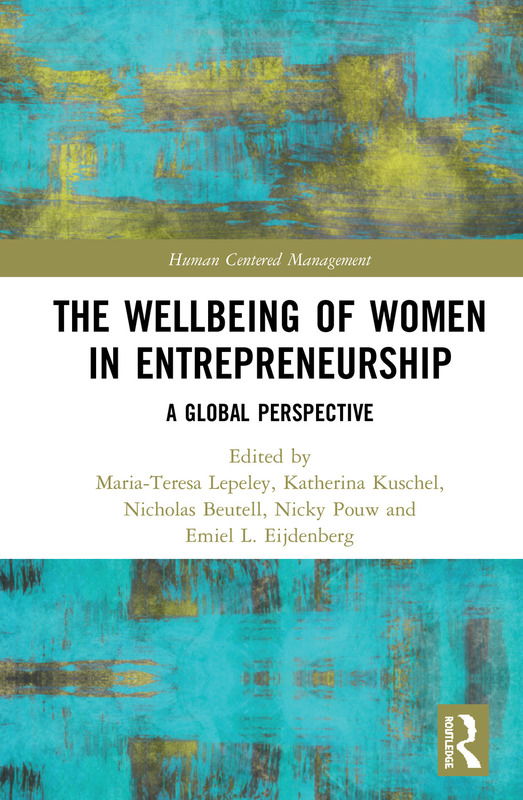 This book brings together distinguished entrepreneurship scholars to provide a unique global vision of the wellbeing of women entrepreneurs to foster sustainable development and inclusive societies. Although gender inequality has long been an important discussion, solutions leading to gender parity are far from reaching their targets in the formal workplace globally. In contrast, women’s entrepreneurship is growing exponentially and opportunities for women to own a business and be their own boss offers desirable flexible working conditions that are aligned with women’s lifestyles and multiple family responsibilities. However, entrepreneurial activities are demanding and complex, and women face challenges that require special attention. This book focuses on programs that are effective in helping women entrepreneurs reach levels of wellbeing that in turn ensure business sustainability and increased prosperity. Offering perspectives from around the globe, The Wellbeing of Women in Entrepreneurship will be of great interest to those working and researching in the disciplines of business management, entrepreneurship, human resource management, sustainable development and women’s studies. Maria-Teresa Lepeley is President and founder of the Global Institute for Quality Education. She is an economist, educator and entrepreneur. Katherina Kuschel is a visiting researcher at Universidad Tecnológica Metropolitana, Chile. Nicholas J. Beutell is a Professor of management, business administration, and health care management at Iona College, USA. Nicky R.M. Pouw is Associate Professor at the University of Amsterdam, The Netherlands. Emiel L. Eijdenberg is Senior Lecturer at the James Cook University Singapore. The Human Centered Management Series aims to stimulate the discussion and the discovery of effective approaches and solutions and innovation with increasing potential to improve the wellbeing of people. In short, this new revolution will place technology at the service of people, not the other way around. It is not technology that is propelling the changes, it is human talent. New strategies to develop talent will be critical and, understanding the pivotal role of education, multidisciplinary approaches from scholars and practitioners from around the world will be required to articulate solutions. New constructs are needed to position management at the forefront of the transformation to foster the human centered paradigm shift. This book series will capture this new thinking.